Enter your email address below to receive a notification when The Baconarium starts accepting new sign-ups! Enter your email address below to receive a notification when The Baconarium is accepting new sign-ups again. We place our pork belly orders on the first business day of the month for all orders placed in the previous month and ship out the finished product about two weeks later, usually shipped out the Monday or Tuesday of the 2nd or 3rd week of the month depending on when we receive our pork belly order from the supplier. 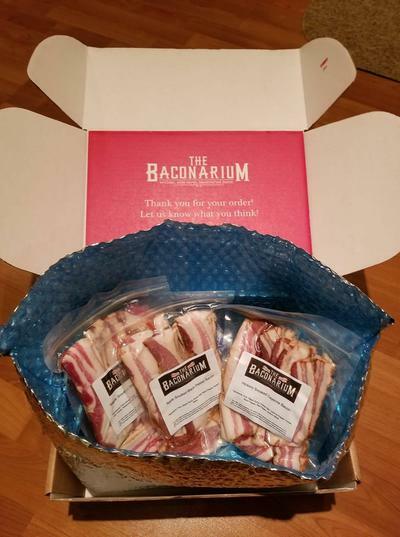 The Baconarium is all about one thing: freakin' awesome bacon! 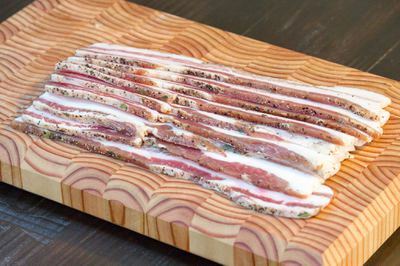 We handmake our bacon using only the finest ingredients--heritage breed pigs pasture raised on non-GMO/no antibiotics diets on family farms throughout the US, the finest spices and herbs, and slow cure and cold smoke the bacon in a process that takes 11-18 days! 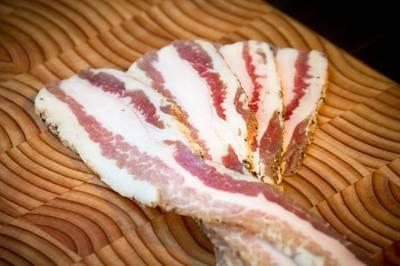 3 lbs of artisan bacon shipped to you every month! No nitrates or chemicals added! Slow cured, cold smoked, and always shipped fresh! 9 varieties of bacon each year! 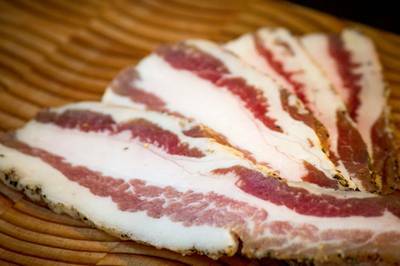 Ultra premium heritage breed bacon made by hand! 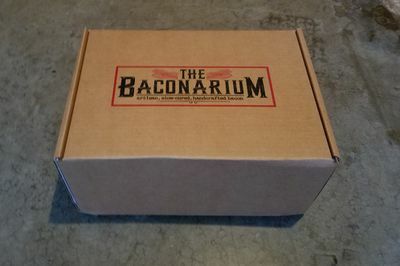 The Baconarium doesn't have any reviews!